As I’ve mentioned, it’s been really, really hot here in Shanghai lately. One of my favorite hot-weather activities is to turn on the air conditioning, lie on the couch, and devour mystery novels. I’ve been spending my summers doing this ever since first cracking open my mother’s hand-me-down Nancy Drew books somewhere around the age of eight, and while I still enjoy a good ND mystery now and then, I also relish finding new authors who write compelling whodunits. My list of go-to mystery authors now includes Lisa Brackmann, whom I first heard about a couple months ago when she did a Q&A with Jeff Wasserstrom for the LA Review of Books China Blog. Brackmann’s books follow the (mis)adventures of an injured Iraq war veteran named Ellie McEnroe, who moved with her husband to Beijing, got dumped, and decided to stay in China because she didn’t have anywhere else to go. The second Ellie McEnroe book, Hour of the Rat, was just published; since I have a thing about reading series in order, I downloaded 2010’s Rock Paper Tiger as well, and wound up burning through the two books in three days. Brackmann has been traveling to China since 1979, and both books benefit from her knowledge of the country. At more than one point, I found myself smiling because Ellie’s life seemed so familiar to me—her regular meals in cheap dumpling restaurants; her desire to score a top bunk on sleeper trains (they’re the best); her frequent retreats to Starbucks for coffee, peace, and order amid the chaos of Chinese cities. Though Ellie lives in Beijing, both adventures lead her to travel throughout the country, and I enjoyed revisiting places I’ve been to and learning about those I haven’t yet seen (and in some cases maybe never will; China’s pretty big). When I read fiction based in locations I know well, I’m always rooting for the author to get the setting right. Brackmann, I’m happy to say, gets China right, down to the taste of air pollution and the sagging floorboards in Shanghai’s historic Astor House hotel. Something I wondered about before starting the books was if they would be too China-specific for general readers, but this shouldn’t be a concern. Brackmann translates all the Chinese phrases Ellie and the other characters speak, and she does a remarkably good job of explaining the unfamiliar without descending into lengthy and awkward exposition. 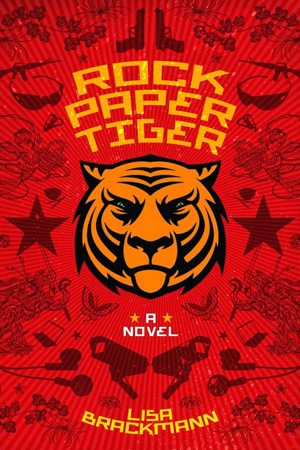 For someone who’s never been to China, I think reading Rock Paper Tiger and Hour of the Rat would be very much like my experiences reading well-done mysteries set in London, a city I’ve never visited: the setting isn’t quite familiar and the local customs need some explanation, but the author provides enough unobtrusive support to prevent this from being a drag on the book. I like the character of Ellie McEnroe a lot, and Brackmann’s plots are twisty and engaging; I’m glad to see that she’s writing a third book in the series and might do more. I especially appreciate that she doesn’t treat China as bizarre or feel the need to justify setting her books there rather than in New York, Los Angeles, London, or any of the other usual suspects for mystery novel locations. Ellie, like a lot of people I know in real life, wound up in China not because of family connections or politics but through happenstance, and she’s turned it into her home. In the coming years, as more and more Westerners move to China, I expect we’ll see the emergence of other authors who locate their books in the country and further normalize it in the minds of foreign readers. As someone who loves both mystery novels and China, I can’t wait; in the meantime, I look forward to reading more of Lisa Brackmann’s Ellie McEnroe books. 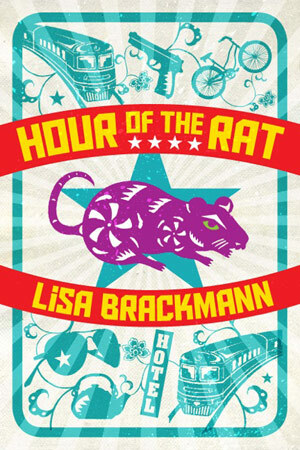 I’m not sure how long this will last, but at the moment, Hour of the Rat is only $1.99 for the Kindle edition, and Rock Paper Tiger is a very reasonable $6.39. Two Kindle books for under $9 is a pretty good deal! Great! New reading for me! Just put them on the kindle! !